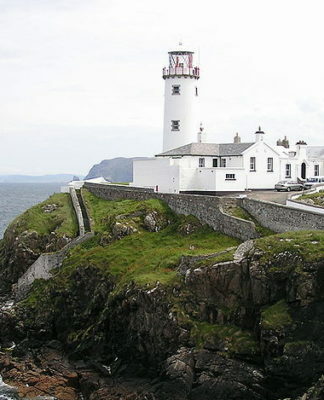 Looking for attractions and places to visit in Northern Ireland? Then make sure to add Castlewellan Forest Park to your list! This amazing park is steeped in history, surrounded by beautiful greenery and trees. The Popular attractions of The Peace Maze are located here along with the historic Castlewellan Castle. You can’t forget to check out the famous lake also. There is so much to do and see here that allows for a fun day out exploring. Castlewellan Forest Park is located in the lovely town of Castlewellan in Northern Ireland. 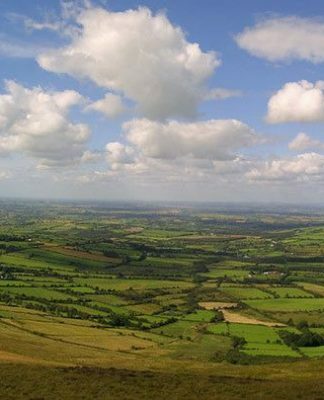 It contains the national Arboretum of Northern Ireland, started in 1740, which contains trees from Asia, North and South America, and Australasia. 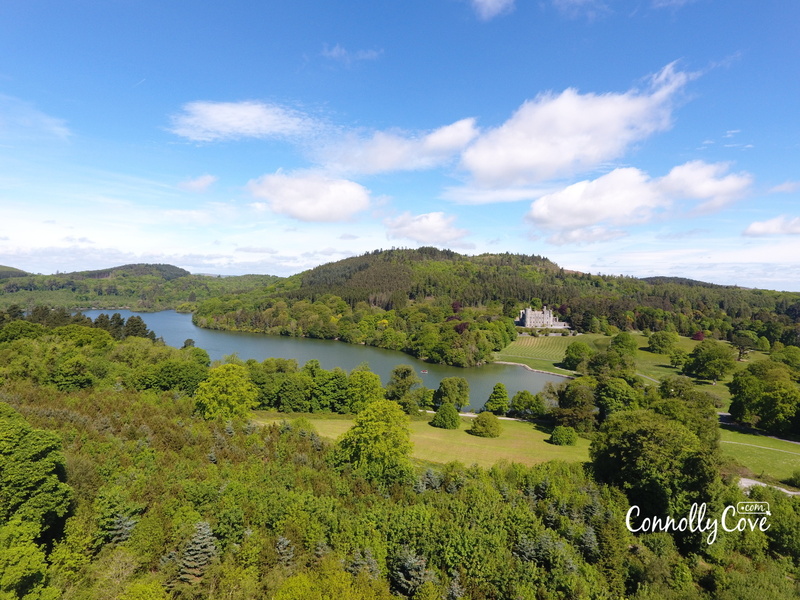 Castlewellan Forest Park is an excellent location to visit for a day out – there are some beautiful forest walks – impressive castle gardens with some very unique trees around the estate. As I’ve mentioned above located at the Castlewellan Forest Park is one of the longest permanent hedges mazes. It was actually the longest until 2007 when the Pineapple Garden Maze in Hawaii was created. The Hedge itself includes around 6,000 yew trees to make the design. An interesting fact is that most of these trees were planted by people from Northern Ireland. 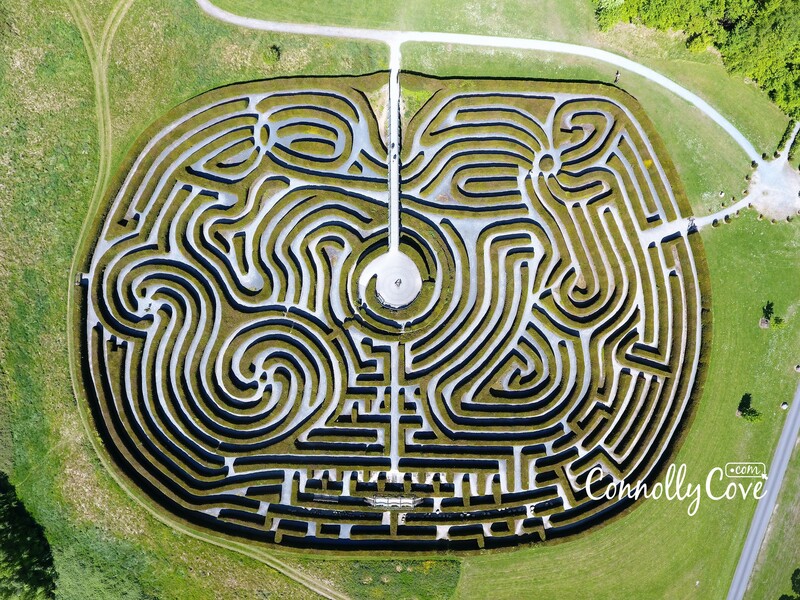 The Maze covers an impressive 2.7 acres and symbolised a path to peace in Northern Ireland. It was designed by Beverley Lear of Lear Associates that created this unique design from thousands of ideas sent in from children. The attraction is highly popular and thousands of visitor each year make their way to Castlewellan to check it out. You’ll know when you’ve reached the centre of the maze as there is a small bell to ring but it’s the getting back out that is the fun part. Definitely could spend an hour or two getting around it and appreciating its beauty. Next, to the Peace Maze, there is a children’s play area known as the ‘Animal Woods’ where they can have plenty of fun. 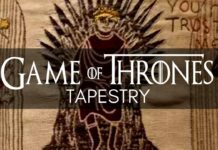 It is designed for children aged between four and Eleven years old. 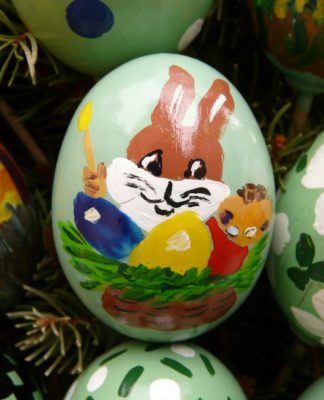 It offers children the chance to play on a variety of fun wild woodland animals. As well as a cool play structure so the little ones won’t be bored on a trip to Castlewellan Forest Park. Another attraction you must check out while you are here is the impressive Castlewellan Castle. The Castle was built in the 19th Century with a Scottish Baronial Style. 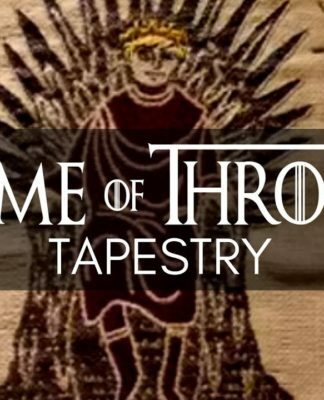 The Castle showcases a long history and amazing architecture that’s really worth exploring. For over 100 years the castle belonged to the Annesley family. 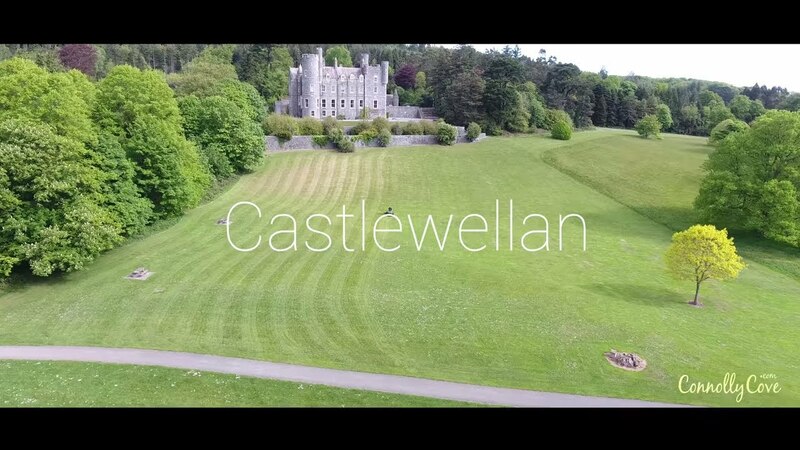 The castle was built in the perfect location that overlooks the beautiful Castlewellan lake. 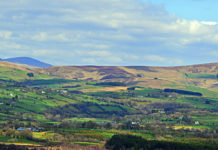 It also offers amazing views of the Mourne Mountains. Above the doorway of the entrance of the Castle, you’ll find the words “Virtutis Amore” which was the Annesley family motto meaning ‘From the love of Labour.’ The castle is a great example of Victorian Architecture that was created by William Richard Annesley. The 4th Earl of Annesley. Today the castle is used as a Christian Conference Centre but it still worth walking and checking it out if you get the chance. The real beauty of Castlewellan Forest Park lies in it’s 100 acres of gardens and unique trees. 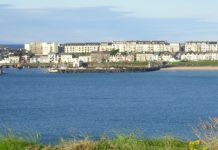 These include a variety of terraces, flower borders, fountains and some of the oldest tree in the Irish and British Isles. Throughout the forest park, you can check this out with the different walking trails that show off its beauty. Check out another video below of Castlewellan Forest Park-checking out the Peace Maze. 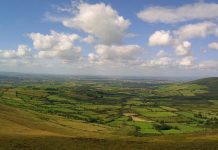 We have also been to a few other parks if you would like to check them out- Rossmore Park and Tollymore Forest Park are just two. 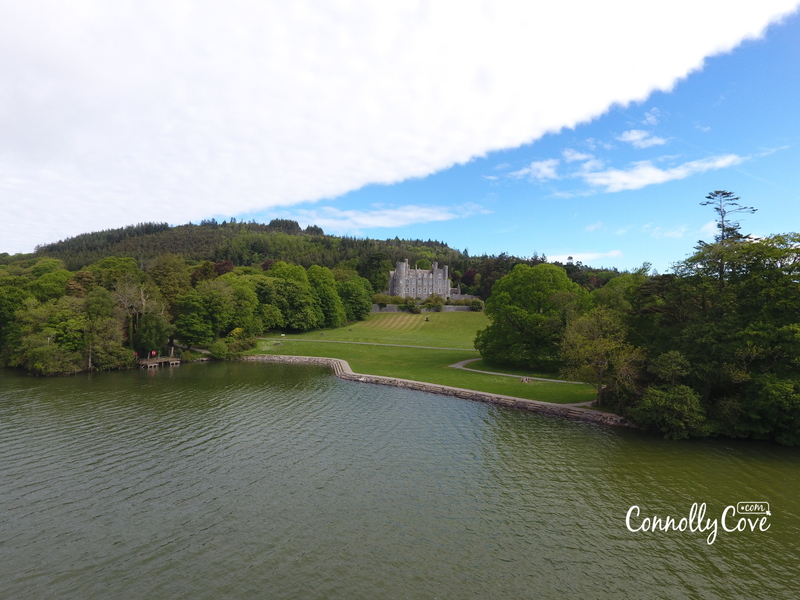 Castlewellan Forest Park is an excellent location to visit for a day out - there are some beautiful forest walks - impressive castle gardens with some very unique trees around the estate.Castlewellan Forest Park also has a large lake - great for water sports. A bike trail - with bike hire available. There is camping and a caravan park for staying over. Finally there is the very famous Northern Ireland Peace Maze - a very large hedge maze that is great fun for all the family. 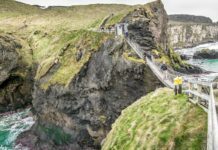 The biggest maze in Ireland - and beyond. The views of Castlewellan Castle on the hill - is very imposing.One of the interesting things about the parks and gardens in Northern Ireland is that most of them stand from a very long period of time. In the case of Castlewellan Forest Park, which is located in Castlewellan in Northern Ireland, this park started in 1740 and it carries different trees from Asia, North and South America, and Australasia. Castlewellan Forest Park also contains the national Arboretum of Northern Ireland and the Giant Sequoia which were planted in the 1850s which are used by treecreepers who burrow into its bark and make nests.